After all the lying, cheating, betrayal, excitement, passion and dishonesty of an adulterous relationship, can any of those involved every truly move on? That's what The Affair will explore when it returns for its fourth season. 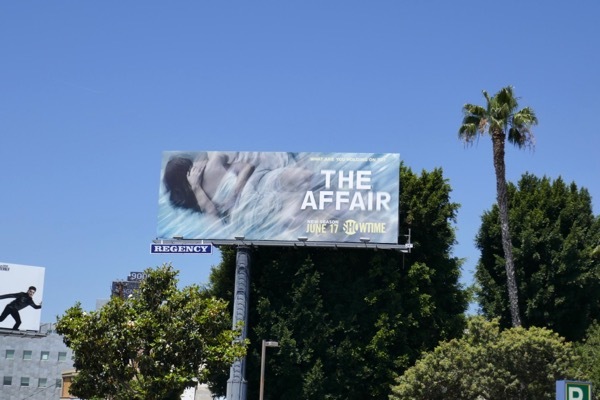 Maura Tierney, Joshua Jackson, Dominic West and Ruth Wilson all try and move beyond the latter two's affair and leave behind their toxic relationships, be it with brand new partners or in new locations, from the beaches of Montauk to the California coast. 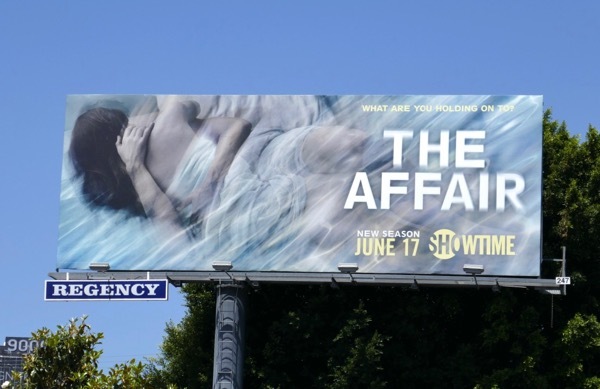 The drama has always been about different people's perspectives, so these mysterious season three billboards with two lovers romping under the bed covers are perfect for the series and were spied along West Hollywood's Sunset Strip on June 7, 2018. 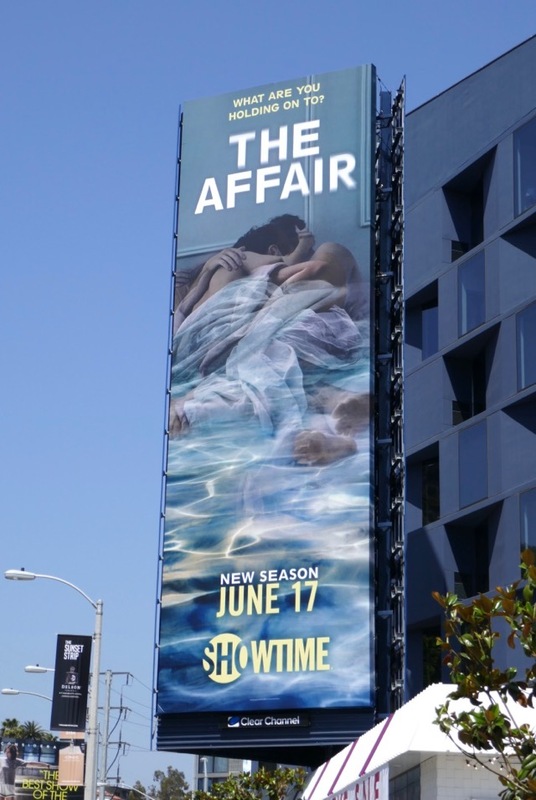 Plus fans of the Showtime drama can also enjoy these previous season promo billboards for The Affair. 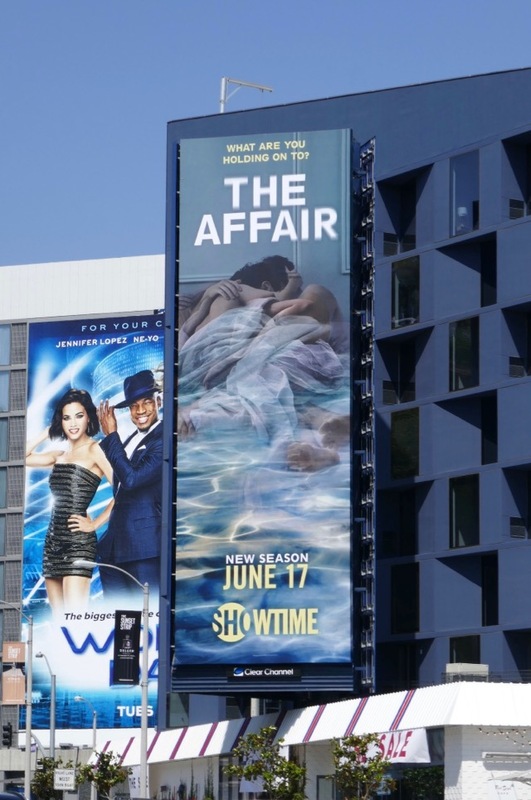 Whether it was being stuck in an unhappy marriage with four kids, or in a strained relationship after the death of a child that sparked the forbidden romance, time moves on and you can never go back to the way it was before. 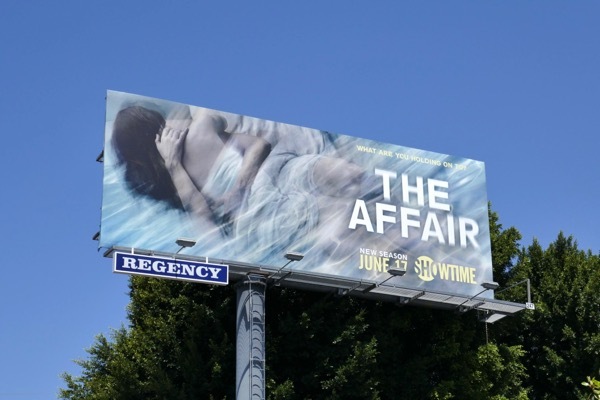 Regardless of the cause and the aftermath, it all makes for compelling drama and keeps us watching.